BARNEY’S NEW YORK – the Barney’s designer sale is still in full swing! If you haven’t perused the markdowns, you’re truly missing out. On my wish list: this jeweled Marni bag, these gorgeous grey suede pumps, and this little red Lisa Perry dress for Christmas Eve. I also have a boots addiction, and could totally get my fix with these Gianvito Rossi boots and this Gabriela Hearst pair. Sooooo stunning! 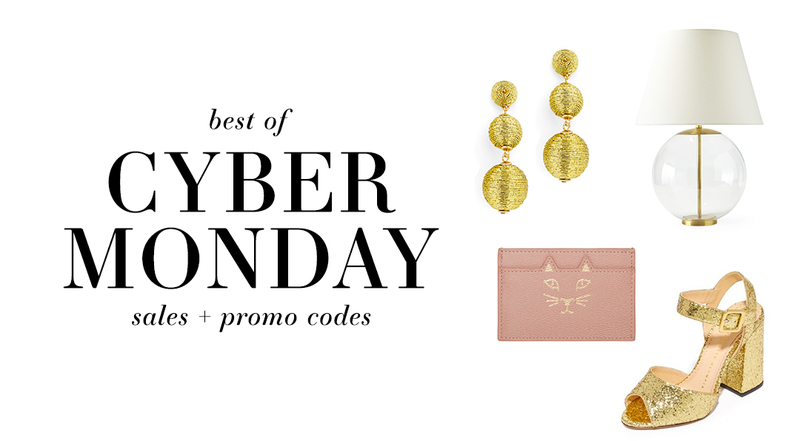 BAUBLEBAR – enjoy 35% off two or more items today and tomorrow only! Stock up on trendy favorites like these bubble earrings (also love this solid gold style! ), my everyday minimalist ring, and these party-perfect sparkly earrings. Enter code SAVE35 at checkout! KENDRA SCOTT – yesterday I popped in the SoCo store with my mom after lunch at Perla’s, and rediscovered my love for Kendra’s pieces. A few new styles caught my eye, like these starburst earrings, these delicate drops (stunning in person!) and this simple pair from her diamond collection too. Enjoy 20% off your purchase with code SALE20! MODA OPERANDI – get an extra 30% off sale items today (for up to 65% off!!!) when you enter code EXTRA30 at checkout! There are very low quantities of everything, but definitely take a look and sort by size to find the items that would work for you. The sale ends tonight, so don’t wait! NEIMAN MARCUS – the designer sale continues today! Don’t miss elegant staples like this silk “sweatshirt” style blouse, these suede knee-high boots, or this lightweight Vince sweater (now $87!!). Also love the style of these booties. They look super comfortable! ONE KINGS LANE – enjoy 20% off furniture, mirrors, decor and more during their Cyber Monday sale! SERENA & LILY – take 25% off the entire site! Now’s the time to snag some of the furniture and home decor you’ve been eyeing. These marble trays would look gorgeous on a coffee table or on a dresser, don’t you agree? So sleek! I’d love these brass ring lamps for my nightstands or my office. Also adore these gold + glass lamps! You can also pick up items like these white lacquer nightstands I discovered in San Francisco, or this gorgeous wide raffia dresser! AHH! Enter code BESTEVER at checkout! SHOPBOP – things are selling out fast in Shopbop’s sale! Don’t miss everyday basics like this winter white layering turtleneck, these skinny jeans I’ve been wearing (already marked down! ), and my favorite Rag & Bone booties. The more you spend, the more you save – you can get up to 30% off your purchase with code GOBIG16. STEVE MADDEN – I honestly don’t shop Steve Madden shoes very often, but I just purchased a pair of these sandals in silver glitter that are SO cute in person! The low block heel makes them comfortable enough to dance all night, and the sparkle dresses up anything from your favorite party dresses to distressed denim! The perfect holiday party shoes, if I do say so myself. Get them (and everything else on the site) 35% off today with code CYBER! TORY BURCH – take 30% off any purchase over $250! I’ve got a few new arrivals in my cart right now… this striped top with bell sleeves is the perfect combo of classic and cutting edge, don’t you think? Would look adorable with jeans and flats for a casual chic daytime look. This sequin skirt comes in two unexpected colors and would be fabulous with a pretty sweater for a holiday party! If you prefer to wear your sparkle on your sleeves, check out this cocktail jacket. Love the tweed + crystal combo, and it would look beautiful at any age! My mom also just picked up this pretty pleated gold skirt for the season! Just enter code THANKS at checkout.